More than 100 people have died since the start of the outbreak in the east of the country two months ago. Butembo is the second biggest cluster of new suspected Ebola cases after Beni, another large city in the region. New cases have also been reported in Tchoima, a busy fishing market town very close to the Ugandan border. 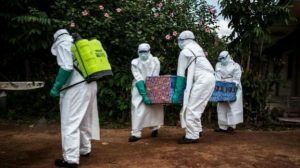 The post Ebola health workers attacked in DR Congo appeared first on Citi Newsroom.